Teaching God’s Children about God’s World in light of God’s Word. At St. John’s, we are blessed to have a very dedicated staff with many years of experience. Most of those years have been right here at St. John’s. Dennis Harbach graduated from Wisconsin Lutheran Seminary in May 1993. He served at St. James Lutheran Church in Prairie du Sac, Wisconsin for 10 years. Pastor Harbach came to serve St. John’s Lutheran Church of Nodine, MN, in August 2003. Pastor Harbach and his wife, Allison, have six children: Jeremiah, Susanna, Chloe, Matthew, Michaela, and Jonathan. Mark Kutz graduated from Martin Luther College, New Ulm, in 1994. He previously taught at Niles, Illinois and Sturgis, Michigan. He and his family came to Nodine in July 2004. Mark and Heidi have three children, Joshua, Ben, and Katie. 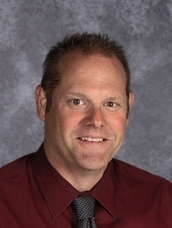 Mr. Kutz is Principal and teaches Grades 7-8. Tom Zuberbier graduated from Martin Luther College in 1995. He first served at Glorie Pei-Bethesda, Milwaukee, WI, then St. Paul’s, Columbus, OH. He has been teaching grades 5-6 at St. John’s Nodine since 2001. Mr. Zuberbier is also our Athletic Director and Coach. Julie (Zeamer) Beach came to St. John’s in 1987 after graduation from Martin Luther College, New Ulm. She taught grades 1-2 for 6 years. 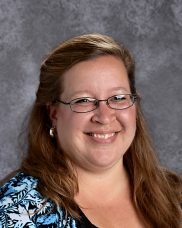 She married Brian Beach of Dakota, MN in 1992, and resigned from teaching in 1993. Julie and Brian have two children, Cody and Carissa. Julie returned to the teaching ministry in 2004. She teaches Grades 3-4 and directs the Church Choir. Laura (Adamczyk) Schaper also graduated from Martin Luther College in 1995. 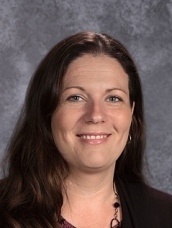 Her previous teaching was at Trinity in West Bend, WI, in 1995 and 97-98 PreK in Cudahy, WI. She was called to teach Grades 4-5 at St. John’s in 1999. She has been our 1-2 Grade teacher since 2001. Laura and her husband, Brad, have two children, Aaron and Addison. Brad is a teacher at Luther High School, Onalaska, WI. 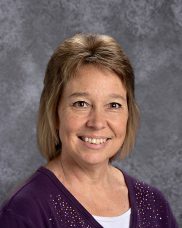 Kathy (Dobrunz) Miller is our Kindergarten teacher. She is also an Orton-Gillingham Reading Tutor. Kathy is a life-long member of St. John’s and former student. Kathy has also been helping at St. John’s as a Sunday School teacher and Patriot Parent volunteer. Previously she taught in Waterloo, WI and Caledonia, MN. Kathy is married to Jeff Miller. Kathy and Jeff have 4 children, Joshua, Klarissa, Justin, and Karly. Nicole (Schossow) Buege is our Pre-Kindergarten teacher. She is a life-long member of Grace Lutheran church, Ridgeway. Nickie has been a Patriot Parent volunteer and is also an Orton-Gillingham Reading Tutor. Previously she taught in Preschool LaCrosse, WI. Nickie is married to Brad Buege. They have 4 daughters, Allison, Rianna, Mallory, and Baylee. Tracy (Richards) Heyer has been Administrative Assistant at St. John’s since 2003. She also served as a Sunday School teacher for many years. Tracy is originally from Yucaipa, California. She is married to Dean Heyer and lives in Nodine. They have five grown children: Christina, Seth, Aaron, Henry, and Melissa.